Customized die-cut vinyl Decals and Lettering for your car or truck window. For Decals we are using only quality exterior vinyl films provided by Oracal and FDC. 5 to 7 years indoor and outdoor durability for bright and vivid colors. 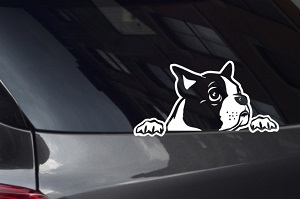 Decals can be easily applied to windshield or any smooth surface such as the body of car or wall. Easy to Apply! Easy Installation Instructions Included! We can review your order and notify you shortly if we can give you a better price. E-mail me the image of my Decal before printing on it for my confirmation. Usually ships in 1-2 business days. Ships from Los Angeles, CA.